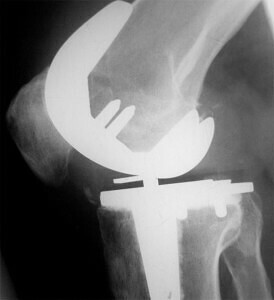 At a March 2010 conference of the American Academy of Orthopaedic Surgeons, two well-known knee surgeons presented data which showed serious concerns about the Zimmer NexGen CR-Flex knee replacement. Dr. Richard Berger and Dr. Craig Della Valle from Rush University Medical Center, had been using the Zimmer NexGen knee replacements for a number of years and their data revealed that 36% of the implants were loose after just two years, and 9% of the implants were either corrected or scheduled to be corrected because of looseness and associated pain. Chevrolet Cobalt Recall, Pontiac G5, Solstice, Saturn Ion, Sky Recall.